Smart devices claim to make our home life easier, but users quickly become overwhelmed by the large amount of apps and settings. 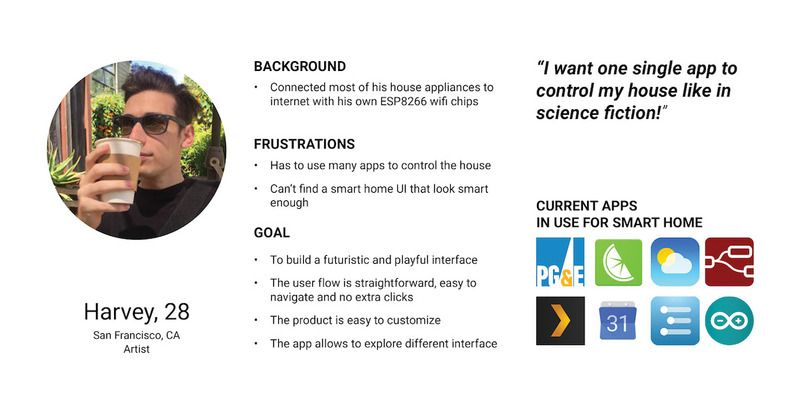 I was challenged to design a solution to bring simplicity and playfulness to smart home interface. 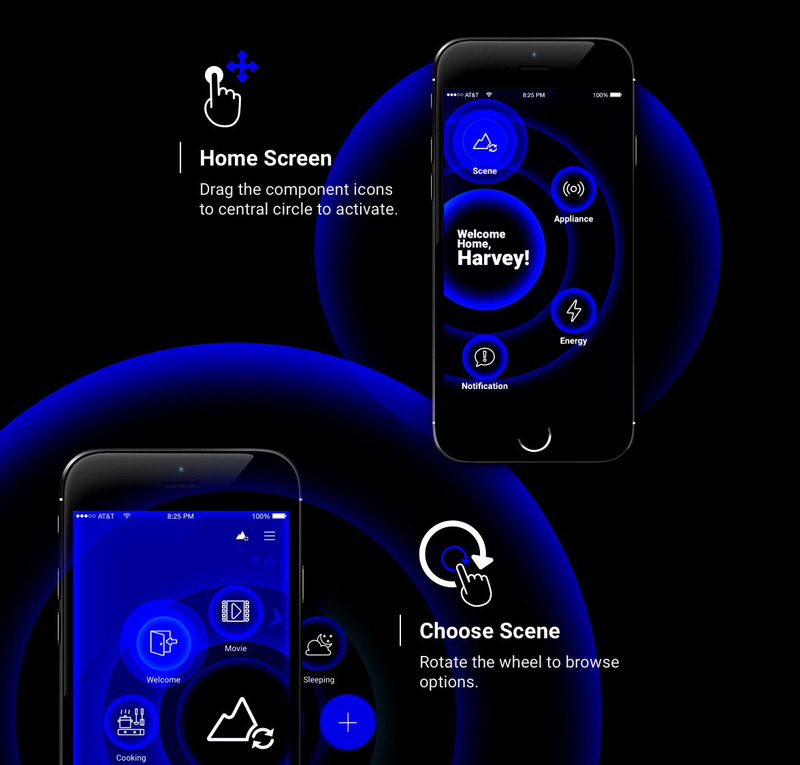 I created a set of circular UI elements to make the smart home interaction simple and playful. 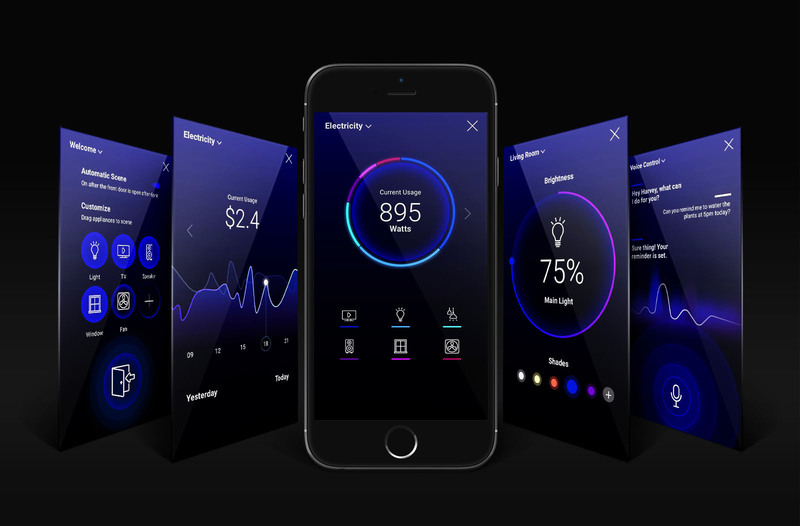 The idea is to have a consistent interface which can bundle all smart home functionalities into one user-centric and fun-to-use application. I started this project by interviewing users. 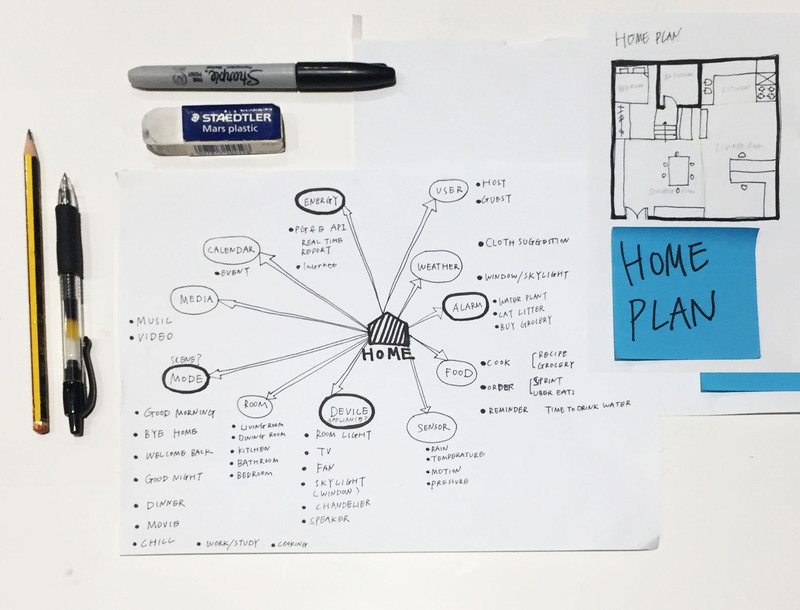 I quickly picked one user as my primary persona and started to research about his home, like sketching the home plan and current smart device network. After initial user interview and brainstorming about product features, I developed one fictional "primary persona" with his pain points and user goals. 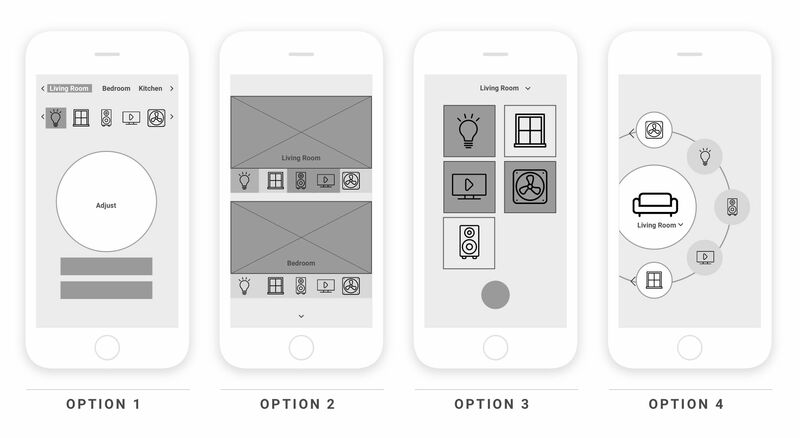 After a brief user testing, I found out that the first user flow is more familiar for most users. I decided to develop more UI with first option. 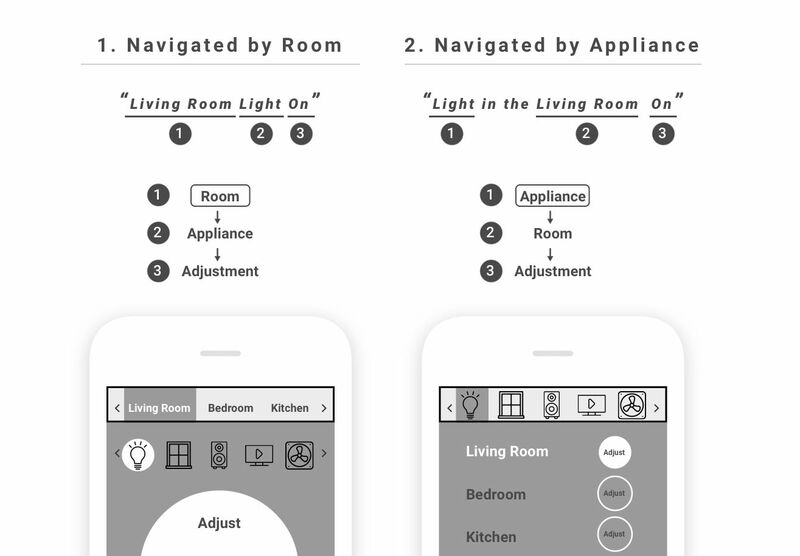 I started the UI development by sketching the mostly used page - appliances page. 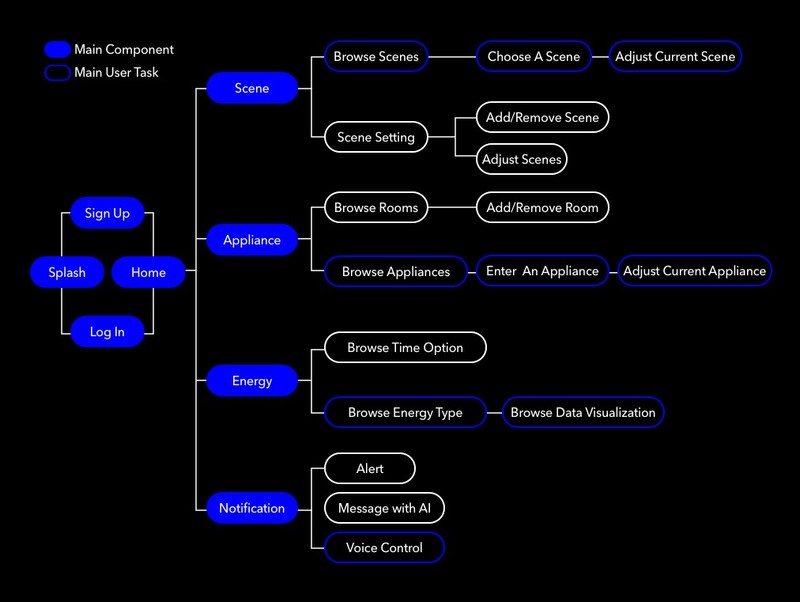 I developed 4 options following the UX model 'Room-Appliance-Adjust'. 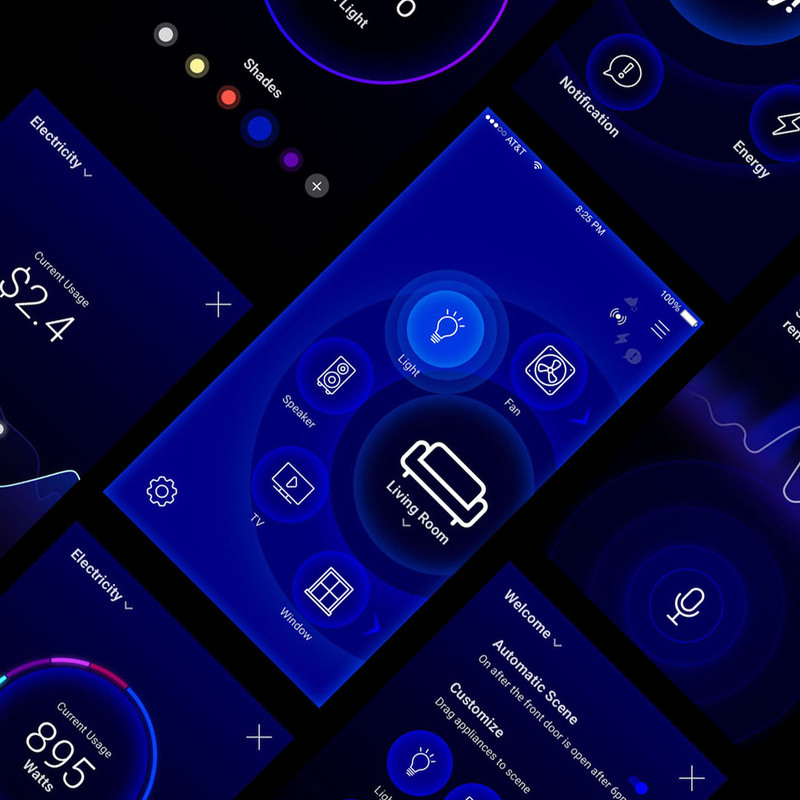 I hosted a quick user review meeting afterwards, and learnt that the circular layout was the most compelling visually and users quickly understood the interactions needed. 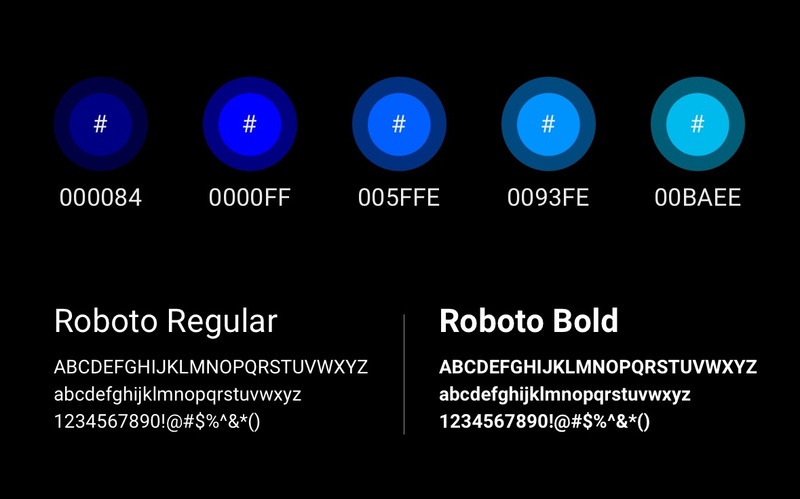 After reviewing the persona I developed and discussiing with users, I decided to choose the Option 4 - Circle UI as the main UI language.